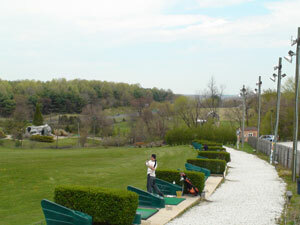 The full swing practice facility is the heart and soul of the Hereford Golf Center. The are 36 tees to hit from, so waiting is usually never a problem. Practice clubs are available to all golfers who don't have their own equipment, free of charge. The full swing facility is deep enough to accommodate even the longest hitters, and wide enough so you don't have to worry about the occasional "foul ball". There are eight target greens available for you to take dead aim at (from 50 to 260 yards). 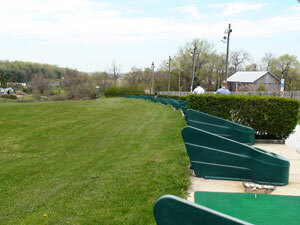 There is also a secluded space at the end of the range that is used for private lessons. Finally, a practice putting green, and a practice bunker are available to help improve your short game skills. *Senior Citizens receive $1.00 off L & XL size bucket Mon.-Fri. from opening until 4:00 PM..